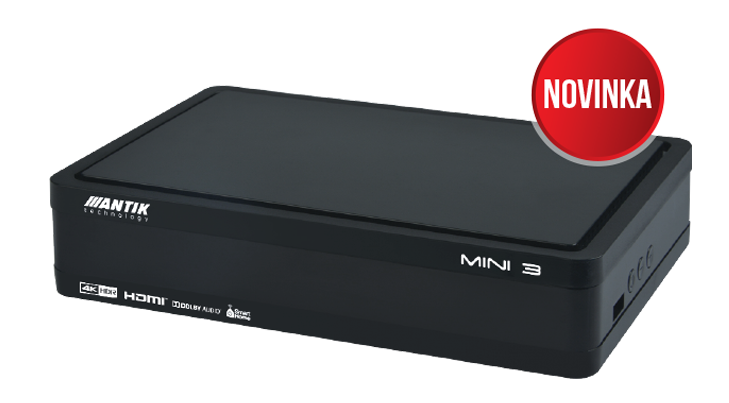 The ANTIK Mini 3S is an enhanced satellite set-top box that simultaneously allows satellite and internet broadcasting and is unique with 4K / Ultra HD support. The free entry package includes several interesting Slovak or Czech programs. 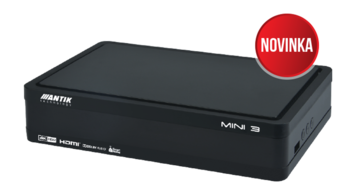 Other programs can be obtained by buying paid bundles, including HD programs. DVBMarket offering full portfolio od Antik Telecom / TVIP products, don´t hesitate to contact us.